The start of the NHL season is here and if you are anything like us, you couldn’t be more excited to see all of the action unfold live. When it comes to really getting into the NHL season, every real hockey fan knows that you need to have the perfect place to watch all of the hockey action unfold live. In fact, the right crowd can make all of the difference in your viewing experience. Fortunately for you, we know just where to send you when you need a great place to watch all of the NHL action live. Here at The Still, we have been and continue to be the best place in Las Vegas to watch NHL hockey. Don’t believe us? Here are a few of the many reasons why were the best place to watch hockey live. We have all of the games on. 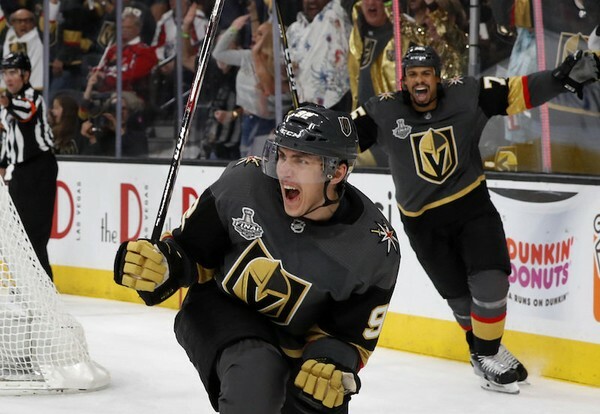 While we are obviously Las Vegas Golden Knights fans here at The Still (and always have the Golden Knights games on) we also will play all of the other NHL games on our 27 flat screen TVS. You can get deals for wearing your Golden Knights gear. Let’s be honest, after last year’s amazing inaugural season, we know you have lots of Las Vegas Golden Knights gear. 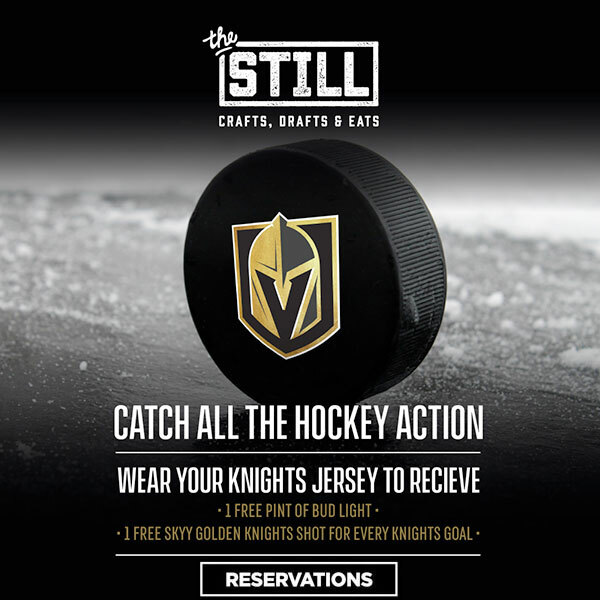 Here at The Still, if you wear your Golden Knights jersey you will receive a free pint of Bud Light and a free shot of Skyy for every Knights goal. We are one of the biggest sports bars in Las Vegas. Here at The Still, we are a true sports junkie’s haven. We are also one of the biggest sports bars in Sin City. With over 8,000 square feet of space, we always have a great crowd here cheering for all of the hockey action. We have great food too! While you’re cheering on your favorite hockey team, you might as well grab a bite to eat too. Chef Brian Massie is here putting a spin on unique upscale bar food right from our fully-functioning airstream trailer and kitchen. Now that we have you convinced, there is no better time to come down to The Still for the next big NHL match up. We are the place in Sin City to watch all of the on-ice action live. We are located in the Mirage Hotel and always have all of the NHL games on and ready for you to enjoy!